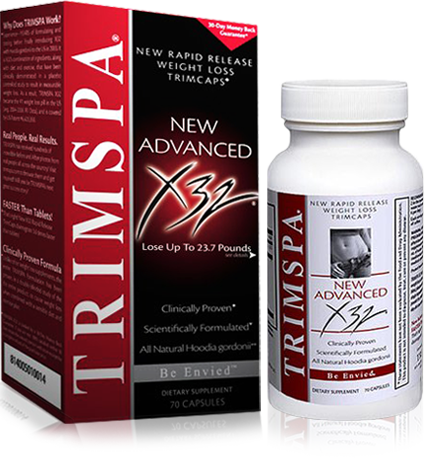 TRIMSPA X32 has proven in clinical studies to produce up to 23.7 pounds of amazing weight loss in 8 weeks. Average results from an 8 week, statistically significant, double-blind placebo controlled study of the entire TRIMSPA X32 formula (as opposed to just a single ingredient study), were 6.61 pounds of weight loss with TRIMSPA X32 and 3.36 pounds for group taking the placebo. Both groups followed the same 2000 calorie per day diet and exercise plan. One of TRIMSPA's key ingredients is Hoodia Gordonii; the novel appetite suppressant that has been used for years by the San tribesmen in South Africa to prevent hunger during hunting expeditions. 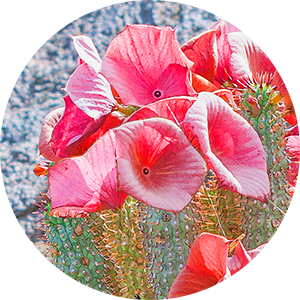 Hoodia Gordonii is extracted from the stem and root of all-natural plant material, the cactus Hoodia gordonii, and purified to create a potent appetite inhibitor. Its active agent limits appetite and increases the sense of satiety, thus reducing total calorific intake and causing weight loss. RECOMMENDED USE: As a dietary supplement, take 4 capsules per day: 2 in the morning, 1 at midday, and 1 in the evening with 8 ounces of water each serving (suggested minimum serving 3 per day/maximum 6 per day). Each serving contains 50mg of caffeine, equivalent to half a cup of coffee. WARNING: DO NOT USE IF YOU ARE UNDER THE AGE OF 18, ARE PREGNANT OR NURSING, OR ARE † ALLERGIC TO SHELLFISH. 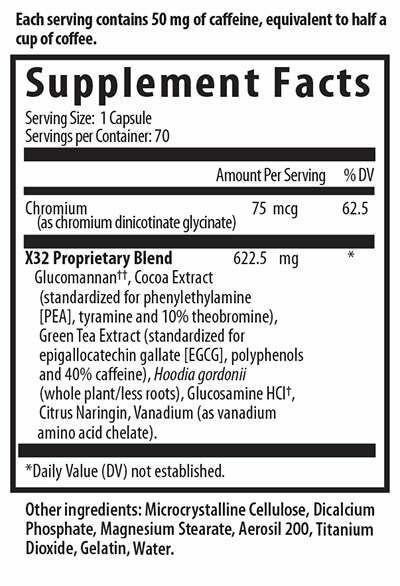 Consult your physician before using this product alone or combined with other supplements or medications. †† To avoid choking, take product with 8 oz. of water. If you experience chest pain, vomiting, or difficulty swallowing or breathing after taking this product, seek immediate medical attention. KEEP OUT OF REACH OF CHILDREN. We've received hundreds of incredible Before and After photos from real people all across the country over the last 20 years. Here’s just a sample. Browse these stories here to see the successful transformations they experienced and get inspired. ‡ Pictures are of actual customers who entered a TRIMSPA® weight loss challenge and have been compensated.